While you could use a standard light bulb in a recessed can, this is a poor use of lighting. You want all the light thrown downwards from the can, and this is the purpose of reflector bulbs. So most people will naturally look to PAR or BR bulbs with their narrow necks and broad faces. But most people are also confused about the difference between these bulbs. Which should you choose? PAR bulbs have a flat face and keep their light well focused, while BR bulbs have a more rounded face and provide more diffuse lighting. This means PAR bulbs are excellent for highlighting a specific area while BR bulbs are excellent for general lighting. So unless you’re trying to focus the light on one area, stick with BR bulbs. This depends on the size of the recessed cans and the look you’re going for. Typical household cans are 4 or 6 inches wide. A BR30 fits in either, but you’ll have wide gaps left around the bulb in a 6″ can. A BR40 won’t fit in the smaller can and will minimize the gaps around the bulb in a 6″ can. A BR40 isn’t just wider … it’s also a little longer from base to face so it protrudes a little further from the can. Many cans allow you to adjust the socket height to get the face of the bulb where you want it within the can. Now that you know about recessed light bulb shapes and sizes, you could just ignore all that and choose a newer option. We’ll talk more about different technologies in a moment, but LED downlight kits like these let you skip the bulb. In fact, if you already have cones and trims in place with your recessed cans, you can remove those as well. 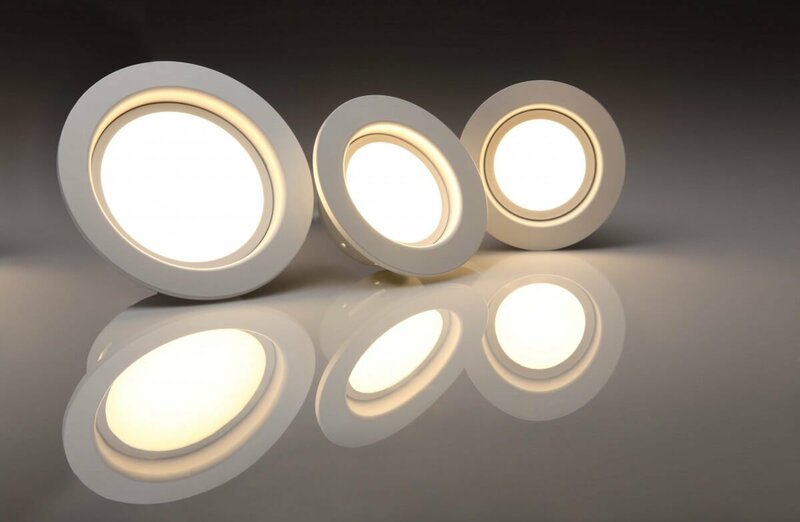 LED downlight kits are a little more expensive than mere light bulbs, but they provide you with the flush look of a light source and trim all in one. No more gaps around a bulb; no more bulbs hanging at odd angles within the cans. As with all LED lights, these provide you with substantial energy savings compared to other technologies, and they let you choose from several color temperatures as well – topics we’ll cover as you read on! Traditional recessed light bulbs were incandescent or halogen bulbs. Halogen bulbs are really just a specialized form of the incandescent bulb; they burn a little hotter and a little whiter, and they’re more efficient. Other than that, they’re largely the same. Incandescent bulbs are loved by many for the warm look of the lighting they provide. They also dim very well on all dimmers and they provide instant on/off light. Unfortunately, they have short life spans and they use a lot of energy to provide you with light. This means you’re replacing them often – easily once a year in high-traffic areas of your home. And in ceiling cans, those aren’t easy replacements. Plus their energy usage means paying more than you should for light. CFLs (compact fluorescent lights) were an early attempt to replace household bulbs – including recessed BRlights – with something more efficient. Unfortunately, many people don’t like the quality of light they provide; most of them don’t dim; they take a while to reach full brightness; and while they last longer than incandescents, they don’t last as long as people expected them to. So yes, CFL bulbs save money vs incandescent bulbs (and the quality of their light has improved), but they are quickly being abandoned – even by manufacturers – for the far more popular LED. LED bulbs are today’s longest lasting and most efficient bulbs. By far. A quality LED easily lasts 25 times longer than an incandescent bulb and uses about 1/6 the energy. That’s a big money saver. Just as important, LEDs provide almost all the benefits of incandescent lighting and then some. They provide instant on/off lighting and they work on many dimmers – especially those designed for LED lights. They can also provide a warm-looking light like incandescent bulbs, but also cooler / whiter looking lights, as we’ll discuss in a moment. And what about the quality of the light? By traditional standards, incandescent bulbs carry the highest rating in terms of how well they render colors. But this standard is being revised because it doesn’t tell the whole story. 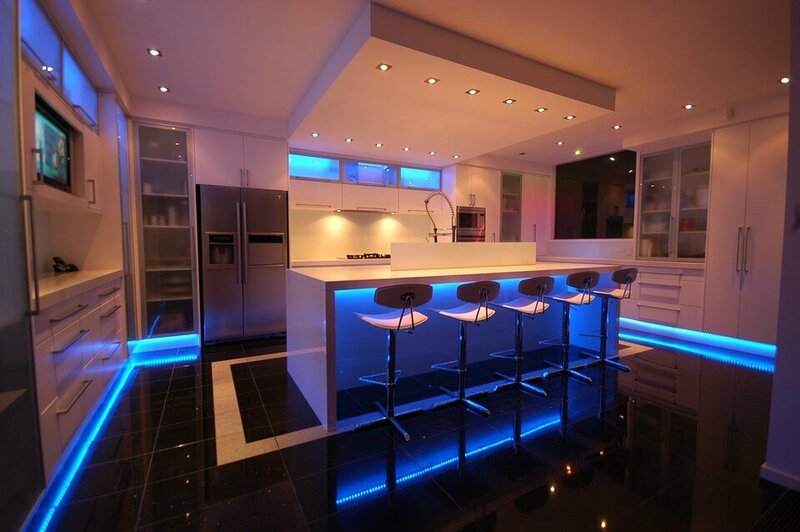 LEDs can render colors very well, even rendering some colors better than incandescent bulbs do. Bonus Tip on LED: If you choose LED as your source of lighting, consider sticking with reputable brands. The size of this market has attracted countless manufacturers who produce low-end bulbs with cheap components and poor build quality. This is an area where you can truly get what you pay for. Cheaply made bulbs are more likely to shift color temperatures or grow dimmer with time; buzz or flicker, or simply die sooner than they should. Color temperature describes how warm or cool a light appears. Incandescent and halogen bulbs are known for providing a warm look, which creates an inviting, cozy atmosphere. This appearance is rated on a Kelvin scale with incandescents rated 2700K and halogens usually around 2850K. While this sounds a little technical, it’s important to understand before you buy a light bulb, because bulb packages now show Kelvin ratings. If you want to mimic the warmth of an incandescent bulb with a LED, look for one that’s rated 2700K. Unlike incandescent bulbs, though, you can choose warmer or cooler looks when you buy LEDs. Some people prefer cooler looks overall, and will always choose them for their household lighting. Others want warmer lighting in places like living rooms and bedrooms, but they want cooler, more vivid color temperatures in places like laundry rooms and workshops. They may choose something in between for rooms like kitchens or bathrooms. It’s really a matter of personal preference – something that LEDs help you fulfill. LED color temperatures range from a warm 2700K to a very cool 6500K, though most households wouldn’t use anything cooler than 5000K. And if you really want to mimic the warmth of incandescent bulbs while upgrading to LED, you can look for warm dimming bulbs. As their name suggests, they get an even warmer look when dimmed, just like incandescent bulbs do. Philips calls this “warm glow” technology, and you can see their warm glow bulbs here. Lighting plays an important role in everything about our lives and gives us some additional control over the look and mood of our homes. Armed with these 5 tips, you should be in good shape for choosing recessed lighting that helps you craft an atmosphere that’s right for you. Steve McCardell is an LS I certified lighting specialist who works for Lighting Supply Company. He writes about lighting on a regular basis with an emphasis on LED. Don’t miss coupon code. You can get a big savings.